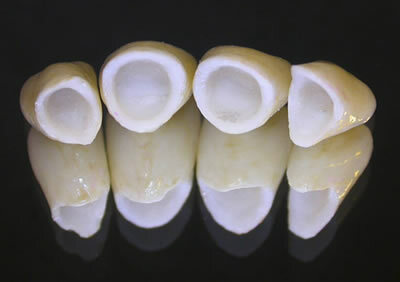 Crowns can be made using the following materials – all metal (often gold)or tooth coloured crowns such as porcelain fused to metal (often gold or a gold alloy), full ceramic (porcelain) or composite (plastic with glass particles embedded). The material used will depend on why you are having the crown. Whether you choose to have a crown to improve the shape and alignment of your teeth or to strengthen your tooth, the procedure is the same. 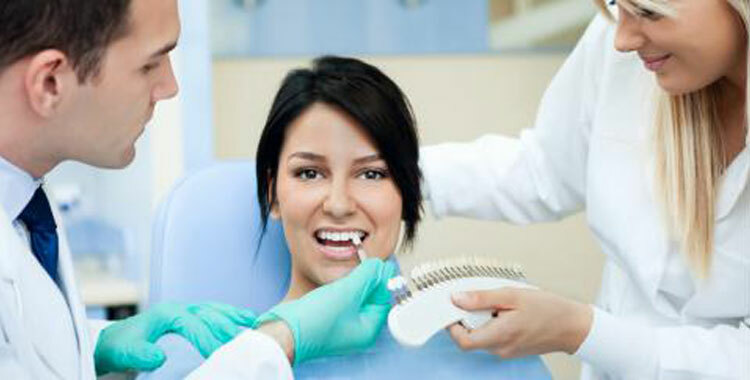 Two appointments are necessary, the first to prepare the tooth for the crown and the second to fit the crown. A local anaesthetic may be need to numb the tooth and surrounding gum. The dentist will then shape the outer surfaces of the tooth, creating a cylindrical shape onto which the crown will seat. An impression (mould) is taken of your teeth using special dental "putty"generally made from silicone. The putty is placed into an impression tray; they are both then inserted into your mouth and pushed over your teeth in order to take an impression. Once the dental putty is set, the impression will be removed. An impression is also taken of the opposing teeth, so the technician can see how you bite together. 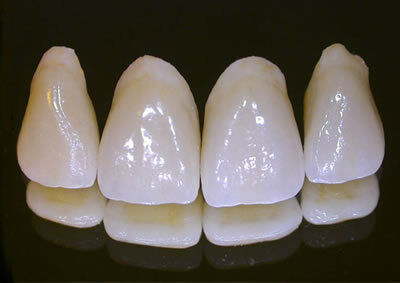 A temporary crown will be cemented onto the prepared tooth to protect it whilst your crown is being fabricated.. The impression will be sent to the Dental Laboratory where our technician will handcraft your crown. This will take between two and three weeks. The temporary crown will be removed and the tooth will be washed to remove the temporary cement. The dentist will then try in your new crown, making sure that it fits correctly and that you are happy with the appearance. The crown will then permanently cemented in place. The bite is checked carefully and may need minor adjustments.